Although it’s one of the most popular eye procedures in the world, many people are not familiar with the specifics of LASIK eye surgery. Things like what to expect from the procedure, what kind of activities are not recommended after surgery, and what to expect from your results are common questions shared by many patients. At Carlsbad Eye Care, Dr. Tracy makes an effort to keep his patients informed about LASIK and any other eye procedures they require. Question: How long should I expect my visit to be with Dr. Tracy for my LASIK eye surgery? Answer: The LASIK surgery itself will only take about ten minutes per eye. But you should plan on staying at the surgery center for about two hours to allow time for paperwork, prep time, and some time to talk with Dr. Tracy about your post-op care. 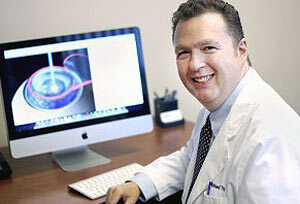 Question: What does Dr. Tracy advise that I do to prepare for my LASIK surgery? Answer: If you wear contact lenses, you need to leave them out for 2 weeks (for soft lenses) or 6 weeks (for hard lenses) before your surgery. Before your LASIK surgery, be sure to arrange a ride to and from the surgery center, since you will not be able to drive on the day of your surgery. Make sure that you can take 2-4 days off from work after your surgery. Pick up any medications that Dr. Tracy has prescribed, as you will begin using them right after your surgery. You may want to eat a light meal (no caffeine) a couple of hours before coming to the surgery center. Wear comfortable clothes, and bring a sweater or sweatshirt, as it can get cold in the LASIK suite. Do not wear any makeup, perfume, or jewelry. Question: I am led to believe that these are currently the most advanced laser eye surgery techniques to date. I am leaning towards LASEK because it seems just as effective these days with less complications (e.g., less likely to get long term dry eyes), but it has a slower recovery time? Answer: LASEK and Epi-LASIK are really variations of PRK. Another new name for PRK is Advanced Surface Ablation. But they are all PRK and have the same outcomes as PRK. Numerous studies have proven this, which is a good thing. The long term outcomes of PRK and LASIK are identical, but PRK does have fewer complications. Question: Will my ophthalmologist be present during my LASIK procedure? Answer: Yes, we believe that a personal relationship with your ophthalmologist is essential to your care. Dr. Tracy will be there throughout the whole process, from your first appointment, to your surgery, to your last post-op visit. He will perform your tests at your consultation, and he will discuss your surgical options with you. He will also be the one performing the actual procedure, and he will examine your eyes at your post-op visits. Question: Does LASIK eye surgery hurt? Answer: The actual treatment itself is painless, but you will feel a lot of pressure on your eyes when the laser is creating the corneal flap. You will be given anesthetic drops to completely numb the eye. After the procedure is finished, you will feel a sensation some patients describe as gritty, as if a lash is in your eye for a few hours. Most people experience very little pain and need nothing more than Tylenol or Advil and a little rest time. However, you will be given pain medication just in case. Question: Should I have someone drive me to my appointment? Answer: Yes. You will not be able to drive the day of your surgery. Please arrange for a ride to and from the surgery center, as well as to and from Dr. Tracy’s office on the following day for your post-op visit. Question: What’s the main difference between LASIK and PRK? Answer: LASIK involves using either a blade (microkeratome) or a laser (femtosecond laser) to cut a flap in the cornea, then placing it back at the end of the procedure. In PRK, no flap is created. Instead, an Amoils brush is used to remove the epithelium (the thin, outermost layer covering the cornea). This method removes the epithelium without alcohol and makes a perfectly round epithelial defect that heals fairly quickly. Question: Ten days ago I had Wavefront LASIK on both eyes. I opted for Monovision. My distance vision is fine but my reading vision is useless (for reading). I was told that it takes time for the eyes to “settle” and it would take about three months to determine if I need a “touch up”. Is this correct? Also, my eyes are dry and I’m constantly using artificial tears, which make my eyes goopy. Is Restasis (cyclosporin) a good option? Answer: Ten days is far too early to judge if you will need a touch-up. I agree that it will be three months before you can be certain of your outcome or even longer depending on how large a treatment (how much of a prescription you had before the surgery) you have had. There are lots of great treatments for dry eyes. Restasis has been shown to be effective in numerous clinical studies. Other good options are punctual plugs, doxycycline, and Intense Pulsed Light therapy. Question: I am considering LASIK to treat Astigmatism. Is sleeping in my contacts bad? Answer: The debris that gets caught between your cornea and the contact lens can cause dryness and scarring. Removing the lenses at night allows your eyes a chance to heal from hours contact use. Sleeping in contact lenses increases your chance of developing infections. For LASIK, the important thing is to leave the contacts out long enough both before your evaluation and before the procedure – 2 weeks for soft contacts and 6 weeks for hard contacts. Question: Don’t you think every LASIK patient will suffer from keratoconus / ectasia after LASIK at some point in his/her life because of central corneal thinning ? Answer: Only about 1 patient in 2000 develops keratoconus after LASIK. This is actually quite close to the frequency of keratoconus in people who have not had LASIK. People who have early undiagnosed keratoconus often seek out LASIK because they do not see well with their glasses. Surgeons need to be very,very careful not to perform LASIK on this group no matter how motivated they are. Most surgeons (including myself) now believe that patients who develop keratoconus after LASIK always had keratoconus, but it was unfortunately not diagnosed prior to the laser surgery. Question: I was recommended the TECHNOLAS® Excimer Workstation (ACE LASIK) because of my pupil size, but the Schwind Amaris 750s also has Wavefront, which they say is better for night sight. Can you tell me about the TECHNOLAS® Excimer Workstation? Answer: The Bausch & Lomb Technolas laser has been FDA approved in the US since 2003. As you know, US FDA approval is arguably the world’s highest standard for safety and efficacy. The Technolas can be used to provide wavefront guided custom LASIK. It is a solid laser with a respectable record of safety for ten years. I have used it in the past with good results, although I currently prefer the VISX S4. I have heard good things about the Schwind Amaris, but it is a newer laser and has not yet received FDA approval, although it is very popular outside of the US. Question: I had Lasik Eye Surgery done around two weeks ago and I’ve been really worried about the amount of redness in my right eye. I have perfect vision on my right eye, but my left eye is really hazy and doesn’t seem to be getting any better. I went to see a specialist and he said that my left eye is just taking time to heal and the redness is fine. Is this normal and will it be okay soon? Answer: Painless redness that does not effect vision after LASIK is generally due to a sub-conjunctival hemorrhage from the suction ring and is completely harmless and resolves in about two weeks without treatment. It is really just a bruise that looks bright red against the white of your eye and it will resolve over the next two weeks. If you begin to develop pain, blurred vision, or any other symptoms you should be seen right away. The blurred vision may be due to any number of things including normal healing. You are quiet early in the healing process and have already seen your surgeon. If you are unsure about his diagnosis, you can always obtain second opinion. If it does not improve or gets worse or any other symptoms develop you should be seen right away. Question: I had LASIK eight years ago and have now begun to lose the clarity of my vision again. Can I have another LASIK surgery? Answer: Surgeons always try to leave enough cornea for a LASIK enhancement if it is necessary. Today most refractive surgeons prefer to enhance with surface laser (PRK) which spares even more cornea since the tissue ablated is the flap. As a result, it is very likely that you can have further laser if you need it. The one key issue is to be certain that your loss of clarity is due to regression and not to some other eye disease such a cataracts or keratoconus, which your surgeon should be able to determine by examining your eyes. Question: I have seen the bargain ads for LASIK and I know those deals can be dangerous or misleading. I’m just wondering what the appropriate price range should be per eye for a safe LASIK procedure? Answer: LASIK generally costs $2000-$4000 per eye depending on location, surgeon experience, facility fees, and equipment. There is a large degree of variability and even top surgeons are sometimes able to give discounts under some circumstances so the best policy is to judge based on the experience, training and reputation of the surgeon rather than the price. Question: LASIK under-corrected my dominant eye and overcorrected my other eye. I had LASIK 6 weeks ago for myopia. Non-dominant eye was slightly overcorrected, about ~+0.25, the dominant eye is slightly under-corrected, ~-0.25. I have noticed when I work on the computer I can read fine, but when I look up at a distant object my dominant eye is extremely blurry, non-dominant eye has fine vision. Blurriness goes away after 5-10 minutes, but eye feels strained. I can still read small print fine. The dominant eye has been really dry since surgery. Cause of this? Answer: This sounds like accommodative spasm. It is not caused by LASIK but people who formerly took off their glasses to read and wore them for distance sometimes only discover that they have it after refractive surgery. The most common treatment is reading glasses to relax the eyes during close work. Your surgeon can test you for this and write you a prescription for reading glasses if you need them. Question: I had LASIK done a little over 4 weeks ago. One eye is still blurry at just about all distances - the blurriness does not fluctuate. The blurriness will go away temporarily with drops (30 seconds). At two weeks I was told that I have dryness and inflammation, to continue using the regular drops, and that over time it would improve. The corneal shape & flap checked out - everything was/is perfect (no astigmatism, no myopia). How long for the inflammation to go away? 6 months? Answer: Blurred vision that clears with use of artificial tears is generally caused by dry eyes. Dry eyes can last for six months after LASIK and in rare cases longer. If your surgeon has already found that you have no other issues such as flap striae, the first thing to try would be frequent (every hour) use of artificial tears to see if you can make your vision clearer while you are healing. Another option might be punctal plugs. Question: Is LASIK eye surgery safe at 18 years old? Answer: I would not perform LASIK surgery on any patient younger than 21. The eyes are still changing at that age and the risk of complications such as Keratoectasia are higher. Some surgeons will do so but only with informed consent on the patient’s part that they are taking on additional risk. My advice is to wait. The technology improves every year and time is on your side. Question: Can LASIK fix an astigmatism? Answer: LASIK is great for astigmatism and can even sometimes correct types of astigmatism that glasses or contacts don’t. Question: How soon can I go running after LASIK eye surgery? I’m an avid runner, and I’m supposed to have my LASIK procedure in about a week. I’m wondering how soon after the procedure I’ll be able to go running again. Is it possible that the impact from running might affect my recovery or the healing? Or is there no risk involved? Answer: Most people can go running a week after LASIK. Your surgeon will see you one week post-op and at that time he should be able to you for certain, but be careful even a week after surgery. It is best to approach exercise with caution for at least a month after surgery. Question: Is it safe to fly after LASIK surgery? I am considering LASIK surgery and have an upcoming vacation that will keep me away from too much eye strain for at least a week, which I hear is helpful. The only catch is I have to fly. Will the change in altitude or pressure changes affect my results or cause any discomfort? Answer: It is best to avoid high altitudes immediately after LASIK surgery as low oxygen conditions can cause corneal edema (swelling). Once the surface is healed (usually one day) airplanes are generally fine, but to be on the safe side it is best to wait a week to fly (or go skiing) and see your doctor for your one week post op visit before you go up in a plane or participate in other high altitude activities to be certain you are healed. Question: I had laser surgery done 4 years ago and still have starbursts, halos, and glares. Is there any help for me? Answer: Most glares and halos appear to be caused by residual astigmatism after laser surgery. Your surgeon can do a careful cycloplegic refraction and if you have significant astigmatism may be able to repair it with further laser treatment. Alphagan-P (Brimonidine) eye-drops have also proven effective in treating glare and halos at night with most patients taking them daily at sunset. Dry eyes can also cause glare and halos. Finally, it is possible that your symptoms are unrelated to your surgery and are caused by an unrelated eye disease such as cataracts. The first step is to have a thorough eye exam and cycloplegic refraction to determine the cause of your symptoms. Question: Laser Eye Surgery or Bates Method Therapy for Myopia? Is there any different cure for curing myopia except for laser surgery and wearing glasses? I have heard of Bates method therapy but I have not practiced it yet. Is this method effective and does it have any side effects? What about laser surgery? Will I be better off if I have the surgery done instead? I am 22 years old and have -3.00 D for the right eye and -3.50 D for the left eye. Answer: The Bates Method has never been shown to improve vision. Given your age and refraction, you may be a good candidate for laser surgery depending the shape and thickness of your cornea and any related medical conditions you may have. 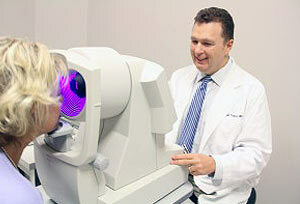 If you have no medical problems and your corneas are of normal thickness, laser surgery may be the best option for you. Question: Do you still have to refrain from wearing contact lenses before LASIK eye surgery? Answer: Nothing has changed. You should have your contact lenses out for two weeks before your LASIK consultation. Contacts work by changing the shape of your cornea, so your eyes need time to return to normal in order for your testing to be accurate. Some surgeons only require patients to be out of soft contact lenses for three days but this is a small minority. Question: Is blurriness after LASIK normal? Answer: Far sighted people do take longer to stabilize after LASIK surgery and the outcomes are slightly less predictable, but still excellent. Vision after a hyperopic (far sighted) LASIK can continue to improve for a year. If the vision is still not clear after that time most likely the patient still has some residual refractive error and may require an enhancement or something else is going on (dry eyes, cataracts, etc). The best course is to have a thorough exam by your surgeon. Question: Is there an age at which LASIK would be ill advised because you might still need glasses to correct age-related eye issues, or does LASIK preclude these problems? Answer: Past the age of 40-50 patients lose the ability to accommodate. This means that after LASIK they may still require reading glasses for fine print. About half of these patients are candidates for LASIK with mono-vision, in which case no reading glasses are needed. Past the age of about 70, patients sometimes develop cataracts in which case they are not a candidate for LASIK. Question: My left eye is blurry after LASIK, will this change? Answer: The answer really depends on a lot of factors. If you recently had LASIK and your vision is still blurry then it is likely it will improve. If your vision was clear after LASIK and is now blurry that is not normal and you should be seen right away by your surgeon. Question: When is it okay to rub your eyes after LASIK? Answer: Normal eye rubbing two weeks after LASIK shouldn’t be a problem at all. If your vision is normal and you have no pain you are almost certainly fine. Having said that, it is always best to avoid eye rubbing if possible whether you have had LASIK or not. Question: I had LASIK six days ago. Since the surgery, I have not had any periods of sharp, clear vision. I cannot read signs while I am driving, I have to get closer to things to read, and I feel like I am in a fog most of the time. I really did not expect it to be this way. Was I just not informed properly? I am a surgical resident, and I am very concerned because I will be returning back to performing surgeries in a few days. Is there anything that can be done to help me? Is the post-op course longer, and harder for people with higher prescriptions? Answer: High prescriptions DO take longer to clear up, as do far-sighted treatments. Six days after surgery is far too soon to start worrying. Most likely your vision will continue to improve. See your surgeon if you have not already to make certain that there is nothing wrong, but please know that what you are experiencing is entirely consistent with normal healing. What eye drops do you recommend following LASIK? Will Visine be fine? How long afterwards will I need them? Answer: You will use a steroid drop, and antibiotic drop, and a non-steroidal anti-inflammatory drop for about a week after your LASIK. After that it is best to use artificial tears for up to six months to avoid dry eyes. Please do not use Visine! It is toxic to the cornea. Visine brand artificial tears are fine. Question: I am a 24 year old and considering doing LASIK! Is it a one time procedure? Am I too young to get it? Answer: Your LASIK will generally last for the rest of your life. 24 is not too young for LASIK as long as you have no other risk factors. A 24 year old with corneas thicker than 510 microns, a prescription of -8.00 or less and normal scans is generally an excellent candidate for LASIK. Question: LASIK Vs. Wavefront LASIK – What’s the Difference? Answer: Conventional LASIK treats your eyes based on your glasses prescription. Wavefront LASIK creates a custom map of your corneas and treats based on that. With conventional LASIK about 92% of patients get to 20/20 vision or better. With wavefront 98% achieve 20/20 or better. Wavefront also significantly reduces the chance of glare and halos at night. Question: Why is it my right eye is blurry after LASIK? Answer: Numerous factors can effect how long your vision takes to improve after LASIK including your prescription (far sighted prescriptions or large treatments take much longer to clear up), so your healing time may not be similar to your friends. A week after surgery is still very early. Having said that, most people are noticing improvement by this time, so your surgeon will want to make sure that your intra-ocular pressure is normal and nothing else is affecting your vision. Question: It’s been two weeks, will using a computer further blur my vision after LASIK? How can I have faster recovery of my cornea? Answer: Blurred vision after hours on the computer is generally due to dryness, which is common for six months after LASIK. It is best to use artificial tears at least every hour if you are going to be on the computer and to rest your eyes frequently (actually close them for a few moments) to keep them from drying out. Question: I am farsighted and had LASIK four days ago. I do have some aging and cataracts in my left eye. Is it normal to have this much blurriness? Answer: Far sighted prescriptions take much longer to stabilize and patients often experience significant fluctuation. Vision after hyperopic LASIK often continues to improve for a year. The symptoms you are having are very common four days after surgery and almost always improve. Your surgeon will look at your eyes at your one-week follow up to make sure there are no other problems, and contact him immediately if your symptoms are new, but at this point what you are experiencing is pretty typical. Question: Does having the beginning of Cataracts mean Lasik is not possible? Answer: If you actually have the early cataracts, you should not have LASIK. However, “the beginnings of cataracts” is a term with many definitions. Everyone over the age of forty has some age-related changes to the lens inside the eye. This is called a cataract when it is severe enough to affect vision. If vision is not affected, it is not really a cataract. If you have age appropriate changes that do not affect vision or appear likely to affect vision you may still be a LASIK candidate. Question: 11 days post-LASIK, is unilateral blurriness of things near and far an astigmatism/normal? Answer: Enhancements can certainly correct astigmatism, but I think 11 days post-op is too early to say if you will need one or not. As long as the only problem is that you have residual refractive error you should be able to wear glasses or a contact lens to correct your vision until your enhancement if you require one. Your surgeon will want to make certain that residual refractive error is all that is going on and that there is not anything else effecting your vision. Question: I am a 48 year old female and had LASIK eye surgery 4 years ago. After the Lasik eye surgery I had to use drops however no significant eye dryness except for when using the computer all day or when eyes were tired. Then I developed burning dry eyes after taking nasal steroids and antihistamines (one dose of each only and very dry eyes after taking red clover for hot sweats as I am perimenopausal). Is this dryness related to the Lasik or hormonal changes? It is affecting my mental health. Answer: I think the answer is most likely all of the above, although at this point there is no real way to tell. Perimenopausal women often experience severe dry eyes whether they have had LASIK of not. But LASIK is sometimes associated with more severe dry eyes. And of course antihistamines cause dry eyes. You have too many risk factors to isolate one. The important thing is to treat the dryness. Because severe dry eyes are epidemic in the US, we have lots of effective treatments and you should see an Ophthalmologist experienced in treating dry eyes as soon as possible. Question: I went to two consultations for LASIK and both doctors have different opinions. One recommended PRK and one recommended LASIK. How do I know which one is right? I have myopia -9.00 for both eyes. The doctor that recommended PRK says I have a slight astigmatism and the LASIK doctor said I have none. What do I need to ask and what procedure is best for my eyes? Answer: PRK and LASIK are both excellent procedures and the outcomes are essentially identical. PRK has a slightly longer recovery time but a lower complication rate. The best procedure is usually the one your surgeon is most comfortable with. Many surgeons are shifting to PRK the last few years because of the very low rate of complications. Question: I rubbed my eye very badly and had blurriness for 5 minutes, I’m afraid the flap is shifted or dislocated. Can that really happen? Answer: See your doctor! If there is any doubt you should err on the side of caution. If you have no pain and your vision is fine then most likely you will be fine but do not take any chances with your eyes! Question: I had my LASIK done on 28/1/2013, my vision is perfect but becomes blurry at night. Is this normal? Answer: Glare at night is common for the first month or few months after surgery but generally resolves with time. If you have glare that persists for more than six months after surgery (or one year after surgery if you were far-sighted) it is most likely you have a small amount of residual astigmatism left. It may be possible to fix this with more laser but if your vision is perfect, you may want to live with the glare rather than risk additional laser. It really depends on how much the glare interferes with your driving. Drops such as Alphagan P will often relieve the glare if you take them before driving at night. Question: Will my vision get better after getting hit in the eye 6 months post LASIK? Answer: You should be seen right away! Trauma even months after LASIK can sometimes displace the flap. This is no time to take chances. See your surgeon immediately! Question: Is there a way to remove a corneal scar from my eye? Answer: Corneal scars can often be removed either by laser or by surgery, depending on how deep they are. Question: Is it normal for one eye to continue to be blurred 6 days or more after LASIK surgery? Answer: Six days after LASIK there is often a difference between the eyes as well as significant fluctuation. As long as your surgeon has looked at your flap and it is smooth and intact, these things will most likely improve as you heal. You should be due for your your one-week post-op visit so your surgeon can check all of these things out. Question: Are there any risks going into LASIK surgery when my glasses prescription isn’t stable? Answer: YES! If your Rx is still changing significantly every year you are not a candidate for LASIK. You should wait until you have been stable for two years before undergoing any refractive procedure. Question: I got my laser done 3 weeks back. However, my left eye has still not cleared and corrected? Answer: Three weeks is too early to say if you will need an enhancement. If your surgeon has evaluated your eyes and they are doing well, most likely your vision will improve. Question: Why is my far distance vision blurry (right eye only)? Answer: If your vision improves when you blink, your problem is dry eyes. This is indeed part of healing from surgery and you would benefit from treating it aggressively with artificial tears during the healing process. Your surgeon may even choose more aggressive dry eye treatments such as punctual plugs. Question: I got LASIK a month ago and my left eye is fluctuating with blurriness for a week now, what can I do? Answer: If your vision was clear for a month after LASIK and now has been blurry for a week, that is a new symptom and you should see your surgeon right away. It is certainly possible for your vision to fluctuate for several months after surgery, but that should not prevent you from seeing your doctor for any problems you would concern you even if you had not had surgery. Question: I have been wearing a plus 8 prescription since childhood. I am now in my 40s what would be my best options to get it corrected? Answer: A plus eight prescription is a challenge. If you are not satisfied with glasses or contact lenses, most likely implantable contact lenses are your best surgical alternative. If you are over the age of fifty, you might also consider clear lens extraction. Question: Still blurry 10 days after lasik, is this normal? When I wear reading glasses, I can see better for short, medium, or even far distances. Will wearing glasses slow my healing process and is this normal? Answer: Reading glasses are magnifiers and they will make it easier to see regardless of your prescription. You can certainly use them during the healing process and they will NOT slow down your healing. You have had a large treatment and your vision often will continue to improve for months as the swelling inside your cornea resolves. But it sounds like your spherical equivalent is close to plano so as long as your surgeon has made sure that your eyes are otherwise healthy post-operatively, what you are experiencing sounds normal and your vision should improve significantly. Question: I had LASIK surgery performed five weeks ago. Since then, I’ve been experiencing redness and blurry visionin my right eye. Is this normal? Answer: If these are new symptoms you should see your surgeon right away. Five weeks after LASIK you you should have noticed significant improvement of your vision and significant improvement of any redness from the surgery. If the symptoms you are describing are new, you should be seen right away as they may or may not relate to your surgery and could be signs of any number of eye problems. Question: Which is better blade or blade-less LASIK eye surgery? Answer: This is an easy question to answer. A mountain of research has demonstrated that blade-less procedures including Femtosecond LASIK and PRK are much safer than LASIK with a blade. Question: I am 56 years old. Two years ago, my eyesight was 20/20. Over what seems like a one-week period, it got to a point where I could no longer read a newspaper from 20 inches away. Can LASIK surgery help me? Answer: You really should have a general eye-exam as soon as possible. Changes over two weeks are not typical and you should have your eyes checked for serious diseases before considering LASIK. Assuming that this is just simple presbyopia, you may be able to reduce your dependence on reading glasses with a monovision treatment, but only about 50% of patients qualify so your ophthalmologist would have to do a number of tests to determine if you are a candidate. Question: Can I have LASIK and still participate in contact sports? I’m going to undergo LASIK treatment to correct my astigmatism and myopia, but I was told that the procedure will permanently weaken my cornea and thus will be unable to do contact sports like boxing. Is this true ? Answer: If you are going to participate in contact sports surface laser (LASEK, PRK, Epi-LASIK) is much safer. I can’t imagine performing LASIK on a prizefighter given the risks. Question: If my distance prescription is slightly changing annually, will it continue to change after LASIK surgery has been performed? Answer: Minor fluctuations in prescription year-to-year are generally simple variability in testing conditions and the omissions of lens accuracy (about a quarter diopter). Rarely do people have true changes in their prescription past the age of 22. If the changes you are having are less than 0.5 diopters they generally fall into this category and you are a candidate for refractive surgery. If you are experiencing more significant changes, you should wait for two years before having surgery. Question: I had LASIK one month ago . My left eye is not that clear as my right eye , but is instead a little blurry . After what time will my left eye become stable? Answer: Your eyes will still normally be changing a month after LASIK and a difference between the two eyes is normal. Patients often drive themselves crazy comparing one eye with the other. Most often the two come out essentially the same. Having said that, please have your surgeon take a look to make sure there is nothing serious causing the difference such as striae in the flap or increased IOP. Question: One of my eyes is -10 (lazy eye) while the other is -4. I want to go for LASIK in my lazy eye only. Am I doing the right thing, and does LASIK give good results in lazy eye? Answer: A lot depends on the best corrected vision in the lazy eye. LASIK will most likely give you vision in the lazy eye that is as good as a good pair of glasses or contacts. If normal vision never developed in that eye LASIK will not help. Question: I was advised by my laser surgeon that corneal healing after LASIK takes a number of years, and any interruption in the healing process (such as drug-induced dryness) can slow down this process. Is this true? I took some herbal remedy which caused dry eyes and possible corneal erosion. Answer: The corneal flap probably never heals, although most patients have no symptoms after the first six months to one year after LASIK. People rarely have long-term dry eyes after LASIK surgery. Question: I have had LASIK surgery. About one month ago I noticed that I was seeing shadows or double vision of the object that I am looking at in just my right eye. Is this normal? Answer: Ghosting a month after LASIK is not unusual and generally resolves as long as your surgeon has made sure that your corneal flap is smooth and no other complications have occurred. Question: I am a cadet and am about to go onboard soon. My eyesight must be 6/6, but my right eye has -0.25. What should I do now? Answer: If your only refractive error is being -0.25 in your right eye and you have no other eye problems, you are almost certainly 6/6 or better and should pass your vision exam easily. Being 6/6 refers to seeing at 6 meters (20 feet) what 70% of the population sees at 6 meters (20 feet). Another way of saying this is 20/20. -0.25 represents almost no refractive error and should not affect your vision in any meaningful way. Question: What is causing a haze in my right eye? It feels like something is in the eye at times. Right eye was done for close up, left eye for distance. Left eye is fine and clear. At checkup my doctor said how my right eye has some cloudiness, but that was almost two months ago and still having issues. Answer: Corneal haze after PRK will generally resolve on its own, but can take a long time (up to a year). Most surgeons will try to treat haze with topical steroids. If the haze persists, however, surgeons may attempt to remove the haze with either laser (PTK) or superficial keratectomy with Mitomycin C.
Question: I am a 28-year-old woman and my vision was -2.00 in both eyes prior to having LASIK. I had wavefront LASIK about a month ago. My right eye is 20/15 and very sharp! However, my left eye is taking longer to heal and is blurry and not sharp like my right eye. At my last appointment, my left eye was 20/30. At one month out, shouldn’t my left eye be sharp and crisp by now? Could I have developed an astigmatism after LASIK? Any advice would be greatly appreciated! Answer: A small treatment will generally heal more quickly (but not always) and different healing rates between the eyes are common. Most surgeons wait a minimum of three months before considering enhancements after LASIK and I have been surprised at how often even a large difference between the eyes will resolve over several months! Question: I’m a 50-year-old male and I’m thinking about getting LASIK done. I had my cataracts replaced in my twenties. Can I get LASIK if I’ve had cataract surgery? Answer: LASIK after cataract surgery is increasingly common. There are special concerns in your case that your surgeon will want to discuss with you such as reading, but for a surgeon experienced with this type of procedure, prior cataract surgery is not an absolute contraindication. Question: I had LASIK afew weeks ago, but my left eye is still cloudy (like looking out of a dirty contact lens) very dry even after applying lubricating eye drops. Will my left eye heal to be as clear as my right and for how long will my eyes be dry? Answer: The first thing to do is to have your surgeon examine your eyes make sure both eyes healing correctly and both of your flaps are in place! A week after LASIK, blurring can certainly occur with normal healing. One eye may be better than the other early on in the process, but most often they end up being very close to the same (constantly comparing the two eyes will only make you crazy). Dryness can persist for six month or more even with normal healing so artificial tears are essential. Question: If you’re not supposed to wear contact lenses prior to having LASIK surgery, shouldn’t the same thing apply to your regular eye exam? I would think that, in order to get the most accurate prescription, you’d want to refrain from wearing contacts for the same period of time that you would refrain from wearing them prior to LASIK surgery. Answer: You are 100% correct! An ideal eye exam would involve always taking out the contact lenses two weeks prior, but because this is burdensome for most patients, doctors rarely do it unless they are planning to do surgery. In surgical cases no possibility of any kind of error is acceptable so we always ask the patient to remove the contacts. Question: I had an accommodating IOL implanted in my left eye, followed up by LASEK. Pre-op +2.75 -2.74 010 post-op +1.50 -.75 010. My right eye is +1.50 -1.25 173. I have always noticed that objects are narrower without my glasses, however now my left eye sees things much narrower than the right and slightly taller, even when wearing my glasses. I have also noticed that my distance vision becomes blurry after about sixty feet. Can you shed some light on what might be going on? Answer: Astigmatism is when the cornea is steeper in one direction than in another, and it causes objects to seem stretched out on that axis. This is most likely the cause of your problem. The other possibility is post-operative swelling inside the eye (cystoid macular edema). Have your surgeon make sure the inside of your eye is healthy. If so, your problem is most likely astigmatism which can be treated in a number of ways including glasses, astigmatic keratotomy, and laser surgery. Question: I have a scar on my eye from a corneal abrasion from 6.5 years ago. I was told initially that I probably couldnt get LASIK. I don’t think it’s deep but it cover a small part of my pupil so the vision in that eye has the same prescription as the other but its is slightly more blurry even with contacts in. I needed contacts for astigmatism on the scar eye but it healed well so I’ve had normal contacts again for a few years. Does it sound like I might be able to get LASIK? Answer: If your vision is blurry even with your contact, you should have the scar addressed first before you consider refractive surgery. If it is superficial you may be able to treat it with PTK (surface laser) and then PRK with Mitomycin after it is healed and your prescription is stable. Question: I am 32. I had LASIK four years back and now my number comes again. I am wearing 1 number glasses in both eyes. my cornea thickness is 470 microns as per doctor said. Can I do LASIK again or is PRK a better option? Question: Is there a limit to how much artificial tears (preservative free) you can use in a day after Lasik? I just underwent Lasik 10 days ago. My ophthalmologist told me I can use as much artificial tears as I want. I read some articles say it’s OK and others say your eyes won’t produce tears on its own with too much use. Currently, I’m using the Refresh lubricant eye drops every 1.5-2 hours everyday, and at night apply the Refresh Celluvisc gel eye drops. So am just wondering if there’s a downfall in overusing the artificial tears. If so, when I should start reducing the amount I apply. Answer: You cannot overuse artificial tears. It is like putting moisturizer on the skin. The more the better after surgery. If you find the drops are bothering you, you may be sensitive to the preservatives and can switch to preservative free drops. Question: I had a LASIK on my both eyes two years ago. I think I have got an infection now, please advise what drops I can or can not use. Are there any ingredients I should look at before buying drops? Eyes are weeping at night time with sticky discharge. It does not hurt or itchy but it is a little bit uncomfortable. Answer: You are having new symptoms and should not be diagnosed over the Internet. It is very unlikely that this is related to your eye surgery years ago. Please see your ophthalmologist right away to find out what is going on with your eyes. Question: Will my dry eyes get better or completely go away after LASIK? I am six weeks post op. Answer: Dry eyes almost always resolve within six months after LASIK. The most superficial corneal nerves are cut during the formation of the flap, which then reduces the drive to produce tears. These nerves generally grow back in six months although cases of permanent dry eyes have been reported after LASIK. A younger patient like yourself has thicker tear film and hence is less likely to have permanent dry eyes. Question: II had laser treatment for my eyes, but after that I often suffer from dryness of eyes, especially at night. Is this normal? Answer: Dry eyes are common for the first few after LASIK surgery and generally resolve by themselves. The most superficial corneal nerves are cut during the formation of the LASIK flap, which then reduces the drive to produce tears. These nerves generally grow back in six months although cases of permanent dry eyes have been reported after LASIK. Question: Will my vision keep on clearing after LASIK? I underwent LASIK two days ago. My prescription was -4.00 (L), -3.00 (R). Left eye is now perfect. Crisp clear but my right eye is not as clear as my left eye. It’s clear, but when I close my left eye and see with right eye vision is not crisp. However, when I close my right eye and see with left my vision is crystal clear. Will my vision in my right eye improve more or it will compensate for my left eye. I see very clear with both eyes open. It’s just my right eye is not perfect. Answer: Vision generally improves for several months after LASIK surgery and it is common for one eye to be better than the other at various points. As long as your surgeon has examined your eyes and both are healing normally, the chances are that your vision will be very similar in both eyes with time. Question: I have myopia of -9.5, CYL -0.75 right eye and -9, CYL -0.50 in left eye. Is there risk of undercorrection? Is LASIK right for me? Answer: There is always some risk of overcorrection, but your prescription is within the FDA guidelines assuming you have no other contraindications. Typically, patients under the age of 30 do not notice if they are slightly overcorrected. Question: I am a house wife and want to get my Femto LASIK procedure this week. When can I continue to cook after the procedure? Answer: As long as you follow normal precautions for anyone who has had recent surgery, cooking is generally fine after undergoing a Femto-LASIK procedure. Question: My mother went to a doctor today to see if she is eligible for the LASIK procedure. They put eyedrops on her eye to I guess expand the pupil. She is saying it hurts and feels irritation. Is it safe for her to use eyedrops to see if it’ll help? Or is it better not to because of the one they put on her in the doctor office? Answer: Your mother may be allergic to the drops she was given. She should call the doctor right away if her symptoms persist. It is certainly okay for her to use artificial tears if they make her feel better. Question: Can the wavescan measurements of custom LASIK be incorrect? When I was having my wavescan done the technician said not to stare at the image because it would cause the eye to over focus but rather to look above the image. Will an accurate reading result if you don’t look at the image? Answer: The wavescan is to most accurate way to measure refractive error but it is not infallible. That is one of the reasons why your doctor does two refractions before the surgery and records your glasses and contact lens prescriptions. They should all cluster as check on the wavescan. Question: I just had LASIK surgery on both eyes four days ago. The dominant left eye is 20/15 and crystal clear. However, the right eye is 20/25 and blurry. I’m concerned that the right eye is blurry fours days post-op. Is this common? Answer: Both of your eyes sound normal for four days post op. Some difference early on is very common. As long as your surgeon has seen you and made sure you do not have some complication or unrelated eye disease, it is most likely your vision will continue to improve and both eyes will be very similar. Question: I went through a customized LASIK eye treatment two weeks ago. I started working on a computer two days afterwards. Due to my busy work schedule I forgot to take eye drops regularly (like I took twice or thrice when I’m supposed to take them seven times and every hour). Now my vision is shattered and I’m extremely worried that this might be a problem. I started taking them regularly from next. Also, I’m invaded by insomnia? Are there any potential risks or me? Or still my problem can be rectified? Answer: Not taking the prescribed medication CAN affect your healing after LASIK. Most likely the situation is manageable but please see your surgeon about your symptoms right away and take all prescribed medications in the future. Question: I had LASIK one week ago and I’m a serous bike rider, I train and race, can I ride my bike without any worry? Rode yesterday with sunglasses and worried all the way! Answer: A week after LASIK is probably too early to ride a bike at a racing level. The epithelium has healed but it is fragile and minor trauma can displace your flap. After about a month the flap is pretty stable but you should always be careful. Remember, the flap lasts forever. Question: Is it possible to remove a corneal scar with laser treatment instead of surgery? I am 28-year- old and have had a corneal scar on my left eye for two years. I want to know how to remove it (my scar is big). The doctors in my country (Myanmar ) said I should transplant the cornea. Should I do this? I’m not sure I want to. Can I remove this scar with laser treatment? Answer: Superficial scars can be removed with laser but deeper scars may require partial or full thickness transplants. If you are uncomfortable with your doctors recommendations, the best way to be certain is to get a second opinion from a respected university-based cornea specialist. Question: I had breast implant revision five days after LASIK and woke up with vision problems. Is it possible the flap lifted? Five days ago I I did LASIK. My vision was getting better. Today I had revision to breast and never thought to mention LASIK or anything eyes. Apprently they put tape and or gel with on top of eyes for the five hours that I was in surgery. I’m sure my eyes moved around a lot while shut and asleep. I’m worried the tight tape on top then nursing harshly rubbing gunk of eyelids cause my flap to open move or something. It’s very scary like triple vision. Is this possible what could it be? Answer: See your ophthalmologist right away. It is VERY possible that your flap was displaced. I have also frequently been called to see patients who have corneal abrasions from their eyes being kept open for hours under general anesthesia. If your flap is displaced it is imperative that you have it repositioned as soon as possible. Question: I’m two months post-op from LASIK, does eye exercise helps to improve sharpness in my vision? I have no perfect sharpness in my vision even after two months from LASIK. I’m really worried about it. Will it continue throughout my age? Is there any possible way to make my vision sharper through some eye exercise or something else? Answer: There is no evidence of benefit from eye exercises. Question: I want to conceive after three months and at the same time I want to get LASIK surgery now. My power is – 3.75 in both eyes. I want to know whether it is safe to get eye LASIK before pregnancy? Answer: Pregnancy causes changes to the cornea. Women should not have LASIK if they plan to become pregnant in the next six months. Question: It has been fifteen days since I have undergone LASIK and the vision in my left eye is blurred. Will it fix itself in some time? I’ve consulted two to four doctors, and they say that it is corneal haze. Very much worried about it. Answer: Corneal haze after LASIK is less well-studied than after PRK/LASEK. Post-PRK haze resolves with time although it may take months or longer. Topical steroid can speed recovery and in about 15% of cases even leads to rapid resolution of haze. Question: I am a 23-year-old woman. I have high myopia (-8.50 D ) and doctors say I have ‘thin’ cornea and my eye can’t be corrected fully by LASIK (may be up to -3.00 deficient). What will a better option be for me ? Will my myopia worsen more with age or is there chance of it becoming better? Answer: If your corneas are too thin for LASIK, you may qualify for PRK/LASEK. If your corneas are too thin for these procedures, you may be a candidate for implantable contact lenses. Question: I am having my fourth eye surgery this week. Should I be concerned? I have had LASIK in 2009 and 2010 and PRK in December of 2013. After absolutely no change in my vision from the PRK my doctor has scheduled another LASIK. I have not heard of this, nor has my doctor said this has ever happened. I am a bit nervous. Thoughts? Is this too dangerous to do again? Answer: It is very unusual to have so many surgeries. Some people simply do not respond well to the laser. When that is the case I recommend no further surgery. Answer: It is best to avoid this sort of exposure for at least a month before and after LASIK surgery. Question: I am considering LASIK. I have 498 and 506 micron corneas. Are they thick enough? I am almost 40 and have -2.0 in both eyes. They have been stable at -2.0 for three years. I had an initial evaluation and was told my corneas are borderline. Should I still consider LASIK bladeless or not? Thanks. Answer: I never like to do borderline cases when there is a safer alternative. You would probably be an excellent candidate for PRK which is much safer in your case. Question: What factors affect the shape and size of the corneal cut during LASIK surgery? Does your prescription affect what the surgeon does during LASIK, or is the amount of tissue removed and shape of the flap determined by other factors? Answer: The flap is a standard size for almost all patients, most commonly 120 microns (second most common is 90 microns). Surgeons will rarely do a special flap for unusual cases but if so he or she will discuss the reasons with you. And of course the actual laser treatment under the flap will be unique to you based on your measurements. LASIK eye surgery cost can vary based on the technology and equipment used, surgeon experience, and geographic area. It can typically cost between $2,000 and $4,000 per eye. Be careful of some of the lower fees advertised, as they may be bait-and-switch techniques, involving unreasonable conditions and restrictions, or the laser center may be using older, outdated technologies such as the microkeratome blade. San Diego Ophthalmologist Dr. Tracy utilizes the most advanced technologies and equipment, performing blade-free, all-laser surgery. We charge one flat fee for your procedure, which includes all pre-operative evaluations, surgery, and post-operative care. At Carlsbad Eye Care, Dr. Tracy performs all pre- and post-op care himself, including the initial evaluation. We offer no-interest Credit Care financing and payment plans to help make the cost of your procedure affordable. This will allow you to make small monthly payments over a period of time in accordance with your budget. Call Carlsbad Eye Care Today! To schedule your free consultation with a LASIK expert in Carlsbad, please call us at (760) 603-9910.